Ok...so here is where I'm currently at. the southern half of the Smokey's. While I still haven't made an official decision yet, I have bought a "Let's Go" guide for Western Europe. Right now it is looking like that will be my trip, but I haven't ruled out Iceland yet either. New Zealand and Mongolia are out. I haven't received my passport yet either. I will have a final decision by next week. I am going into the studio Sunday afternoon to finish the song. If everything goes well, I will have it posted Sunday night. take care everyone and happy St. Patty's day! Ok first the song. 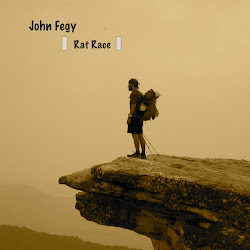 I still haven't gone back in to record the final vocals for "Rat Race". Hopefully I will be doing that this week. As soon as it is done, I will post it. Now, the trip. I had set a deadline of Friday to decide on a destination but since then some new information has come my way and I will need a little more time to come to a final decision. I can tell you this. New Zealand is out because it will be winter there. (unless I wait until the fall to go). So..for right now, it is looking like either Iceland or mini-Europe trip. I would love to do a eurail trip, but a 15 day eurail ticket is almost 700 for anyone over 26. I am going to go back to Border's this week and do some more reasearch. The problem has been not with deciding where to go....but what do I really want to do when I get there. I can't decide if I want to do a backpacking type trip, or a city/country tour. I did get my hostel membership card and hopefully will get to use it either way. On a side note. I signed up to take a couple of classes over the summer at the local college. Just for my own knowledge, not for any particular school goal. I also have been researching a non-profit organization that I might register with. It is called Servas. (www.servas.org). You sign up to be an international Host, and people from all over the world may request to stay 2 to 3 days with you in your home while they travel. It's kind of like a foreign exchange program (only the trips are a lot shorter). The whole point is to extend peace and hospitality to international travelers....and to simply meet people. Sounds great. Although how many international travelers will honestly be travelling to Cleveland...right? Aside from all that...I've been playing my new Lakewood guitar like crazy. It truly is an indescribable instrument. I'll check in...in a couple of days.